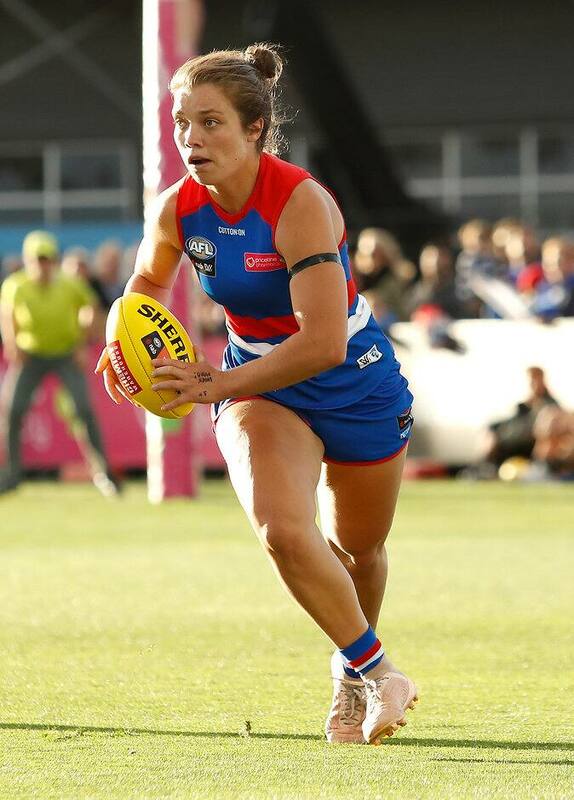 Western Bulldogs co-captain Ellie Blackburn is leading the 2019 AFLW Coaches Association Champion Player of the Year votes after securing the maximum ten votes for her impressive Round 2 performance. Blackburn was a stand-out against Geelong on Saturday evening at VU Whitten Oval, collecting 18 disposals, eight tackles and one goal. Monique Conti (19 disposals, five tackles) received eight votes, while Kirsty Lamb (18 disposals, five tackles) received three. Former hockey player Aisling Utri (14 disposals, six marks) also received a vote. Every round, the AFL coaches vote for the best players from their game. The coaches vote for five players, giving them a mark from 1-5. The maximum a player can score is 10 (with five votes from both coaches).